New Team Member, Mike Hamm joins Beckham Partners! 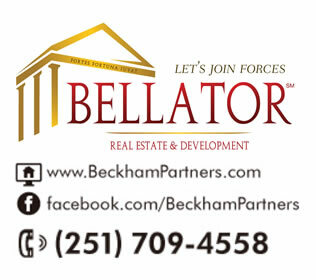 After over 10 years as Bellator Real Estate and Development’s #1 Top Sales Producers, company-wide, and being name 2016’s #1 Sales Producer on the Eastern Shore, the Beckham Partners Real Estate team, headed by Broker, Michelle Beckham has announced they are adding another top-performing agent to their team – Mike Hamm. A Fairhope resident, Realtor® Mike Hamm finished 2016 with over $6 Million in closed revenue last year, selling homes in both Mobile and Baldwin Counties, along the entire Gulf Coast. Mike has called Mobile & Baldwin counties home for over 30 years. A graduate of Troy University, Hamm obtained a bachelors degree in business, and is currently a Sales Associate. He built his first career in customer service for the Healthcare Business Solutions industry. He has held leadership roles in multiple local organizations including Springhill Medical, Infirmary Health Services & The SSI Group. Mike obtained his Realtor license in 2012 and took the plunge to begin a 2nd career. He was awarded ‘Rookie of the Year’ for his efforts – laughing, he jokes that this award “was given to possibly the oldest rookie in history”! Since that time, Mike has successfully closed over 100 real estate transactions and maintains a large database of satisfied customers. Beckham had major sales over the past decade, to be named the company’s Top Realtor® for ten years straight. Achievements include several million dollar home sales in Fairhope, Gulf Shores, along with hundreds of Daphne and Spanish Fort home sales, and many residential home sales spanning Mobile & Baldwin counties. Beckham has been a resident of Mobile and Baldwin counties for over 25 years. A graduate of the University of South Alabama, Beckham obtained a masters degree from Troy State University and is currently a Broker Associate, of Bellator’s Fairhope Office. 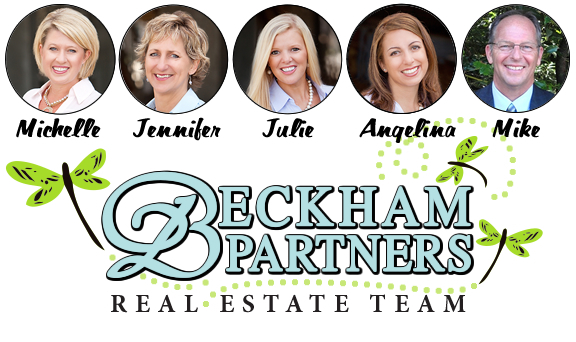 The Beckham Partners Team (in addition to Michelle and Mike), includes Angelina Needham, Jennifer Doyle, Julie Carney, along with a full marketing and administrative staff. The Beckham Partners Team runs an extensive online real estate network that includes number one real estate placements on Google, Bing, and Yahoo for Mobile, Daphne, Fairhope, Spanish Fort, Foley, Gulf Shores, and Loxley in Baldwin County. Mike Hamm brings along recent successes and experience closing homes in downtown Mobile, Satsuma, Semmes, and West Mobile in Mobile County. If you would like Mike or any of the team to recommend solutions to market or sell your home, you will be going with Bellator’s #1 for over a decade! For additional information, contact Michelle Beckham, Licensed Broker: (251) 709-4558, or Mike Hamm, Licensed Sales Associate: (251) 214-8237. Bellator Real Estate & Development is a full service real estate company that specializes in Developing, Listing/Marketing, Brokering and the Acquisition of real estate located in Baldwin and Mobile County, Alabama. Bellator serves both Mobile and Baldwin County communites from 8 different offices, with over 160 agents! These office include West Mobile, Midtown Mobile, North Mobile, Spanish Fort, Downtown Fairhope, Orange Beach, Ono Island, and Gulf Shores, Alabama. Beckham Partners Real Estate Team: Experience that matters, and a track record of success! #1 Residential Sales Producers 2006-2015 Company-Wide and #1 Sales Producers on the Eastern Shore 2016: Bellator Real Estate & Development.